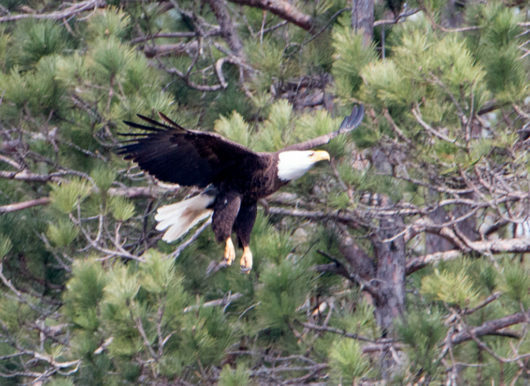 We’ve been seeing Bald Eagles regularly on the lake already this year. This one had been fishing. More likely scrounging. A tasty morsel, for sure. And there have been turkeys aplenty this year too. 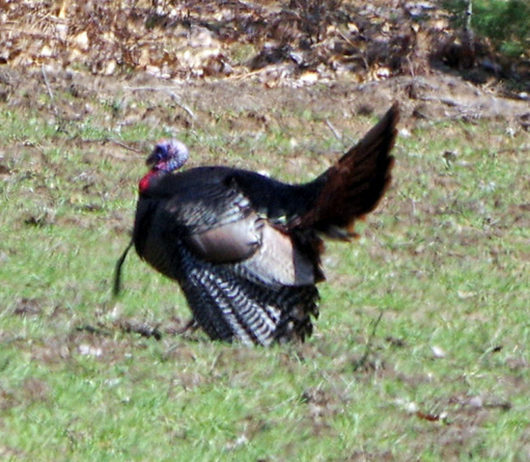 This tom was looking for a date and putting on quite a display. 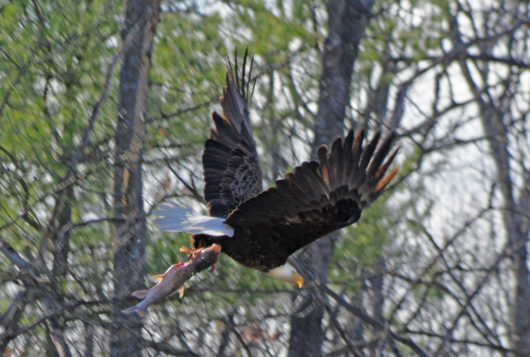 Even though Bald Eagles may have untidy table manners, I am grateful that Ben Franklin didn’t win the argument about which bird should be our national symbol. Turkeys may be smarter in the bird IQ department. But there’s something about that head and beard that just don’t cut it for me. A big snapper has been sunning on the small island just across from the public access dock in the lower lake. If your small boat can make it through the narrow cut-through, watch for the trail of tamped down grass. 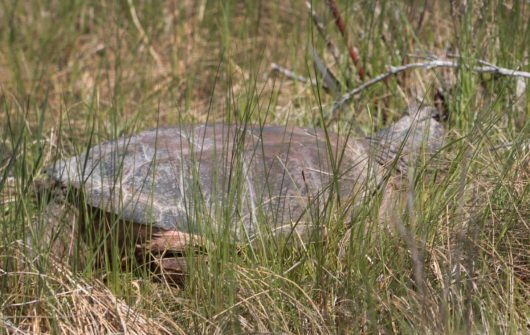 Snapping turtles and turkeys. Two critters that remind that life is long on this planet earth. 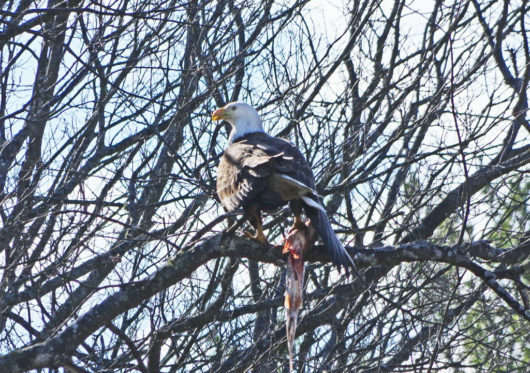 This entry was posted in Long Lake creatures, Michigan's "Up North" and tagged Bald Eagle, Photos by Steve Thorpe, Snapping turtle, wild turkey by Noreen. Bookmark the permalink.